ALLEGRA BOVERMAN/Staff photo. Gloucester Daily Times. 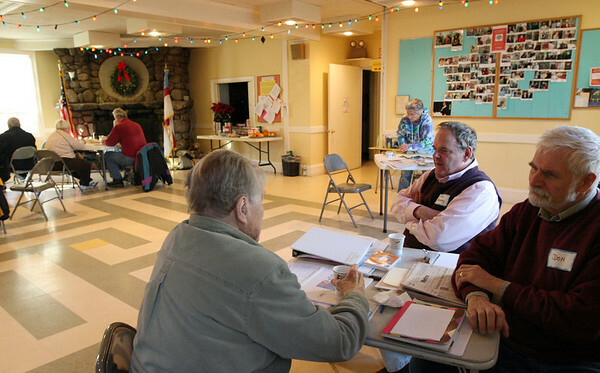 Gloucester: At the Grace Center at St. John's Episcopal Church on Wednesday, volunteers were on hand to work with any people who came to warm up, eat and touch down there. Seated in the foreground, from left are: Bill Chapin, Don Cole and Rev. Thomas Bentley of Trinity Congregational Church.